How Do You Keep Your Business Growing in Our Market? How can you keep growing your business in a down market? There are a couple of key points you need to remember. It’s time to plan your 2019 business. Here’s where you should start. Here’s how to be proactive through cold calling and door knocking. What Kind of Environment Do You Need to Succeed? What Does the Support System at RE/MAX Action Look Like? The support system we implement for our business partners focuses on three key areas. When we bring an agent onto our team, we are looking to form a true partnership. This is how we do it. What Advertising Strategies Bring the Best Return? Gary Jacklin has worked in real estate for 30 years in the Chicago suburbs, and he continues to innovate. As managing broker/owner of RE/ MAX Action, he’s been ranked No. 1 for internet marketing by RE/MAX Northern Illinois every year since 2003. Although Jacklin no longer lists and sells, he has been a top producer himself and understands what makes a successful top producer, and how agents can use technology to help them reach their goals. 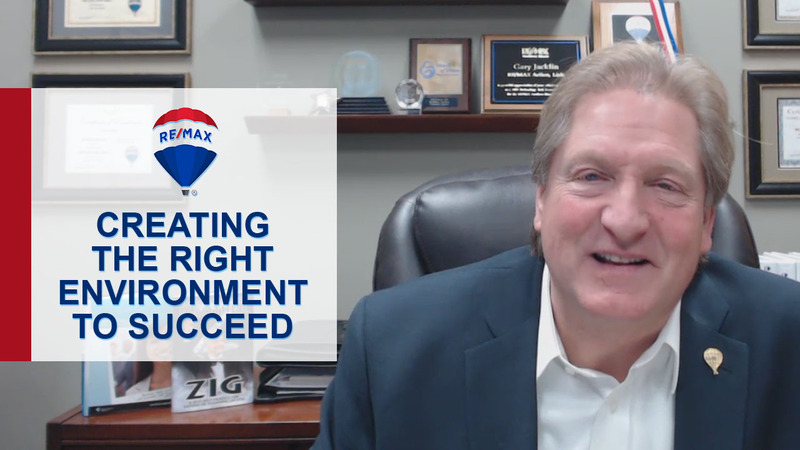 “Our RE/MAX Action agents continually compliment our staff, and the implementation of the leading-edge technology we provide and implement for them to help them service and grow their business,” he says.